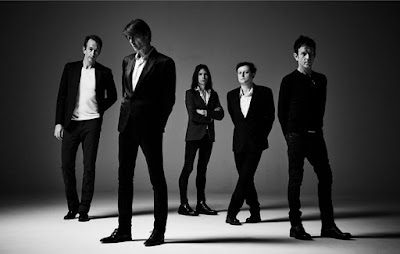 Before Radiohead became the biggest critics' darling since Pavement or Dr. Dre, they were just another pre-Oasis British band with some loose indie ties, trying to gain some cred. Loopy enough to name this moody, often battering debut album for a Jerky Boys routine, they were also a lot more interesting when they hadn't yet learned the word "soundscape." "Creep," the miserably majestic single they now claim nearly ruined them, may not even be the best thing here; try "Anyone Can Play Guitar," an epitaph for River Phoenix before the fact. Pablo Honey is the first studio album by English rock band Radiohead, first released in early 1993. It contains the hit song "Creep". 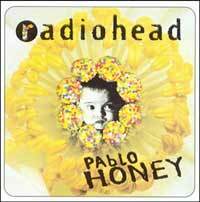 The album's title comes from a Jerky Boys' prank call skit in which the prank caller states "Pablo, honey? Please come to Florida!" to his victim. This snippet is sampled by the band in the song "How Do You." Flashing a song called "Creep" as a musical ID takes cheek, but then, everything about these Brits is unabashed. On their debut, the swagger affected by every arch-Anglo since the Kinks is already in full effect. Three guitars (and bass) and a singer whose narcissistic angst rivals Morrissey's ("I will not control myself!" Thom Yorke screams on "Vegetable," and on "Prove Yourself" he mourns, "I'm better off dead"), these five Oxford lads come on extreme. What elevates them to fab charm is not only the feedback and strumming fury of their guitarwork ­ and the dynamism of their whisper-to-a-scream song structures ­ which recall the Who by way of the early Jam, but the way their solid melodies and sing-along choruses resonate pop appeal.